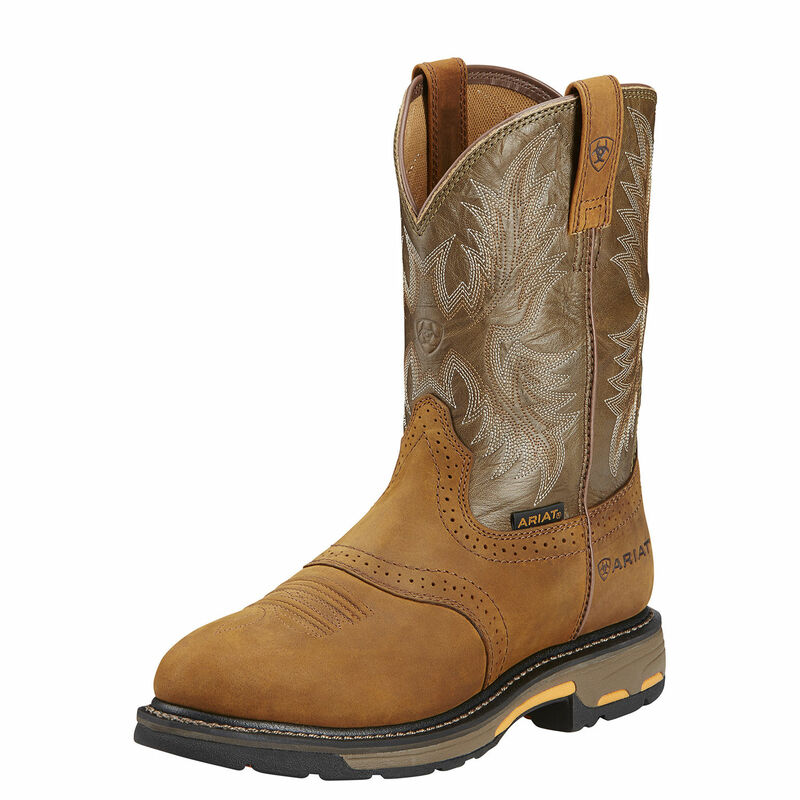 The Ariat-10001188 Pull On Wellington Work Boot is a do-it-all WorkHog with a cowboy soul. 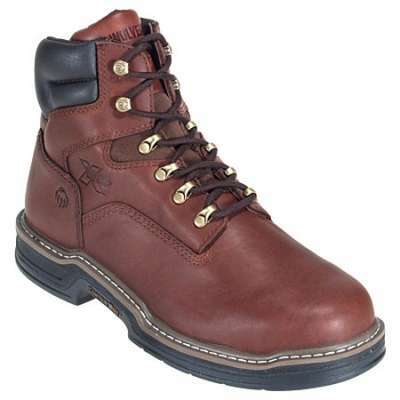 Ariat’s ATS Max platform provides maximum torsional stability in order to reduce foot fatigue and promote proper body alignment. 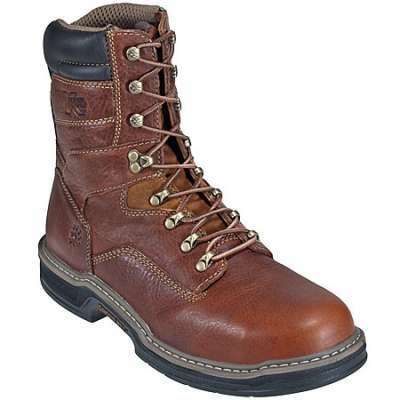 The sole features a lightweight, cushioning EVA midsole to provide absolute comfort. Above all, the Duratread outsole is highly abrasion-resistant, and oil- and slip-resisting, which makes for ultimate durability. 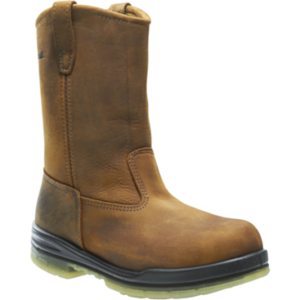 Ariat’s unique, patent-pending U-Turn Entry System, allows easy entry and a true fit regardless of foot shape. 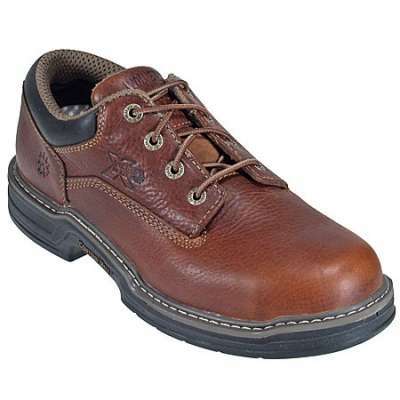 In addition to the full grain leather foot and shaft, this shoe features a synthetic mesh lining.